There are a number of ways you can be greener when it comes to your network infrastructure. One of the ways we often recommend is to use only Low Smoke Zero Halogen cabling to wire your office space. While the push to go green has existed for many years, it’s only been very recent that there has been a demand in the telecommunications industry for green cabling products. For years and years, halogenated compounds have been used in the protective covering for cabling because it is a very effective flame retardant and the dangers were largely unknown. What we know now is that when halogenated compounds in cable covering are released through burning or other chemical reactions, they emit toxic fumes and an opaque smoke. This is not only dangerous for people who are in the vicinity but for the environment as a whole. In the mid-2000s, the Environmental Protection Agency joined forces with some industry leaders and began researching alternatives to the halogenated compounds in cable jackets. Thankfully, there are now great alternatives in Low Smoke Zero Halogen Cables (LSZH). LSZH cable jackets contain thermoset compounds that contain zero halogen and release very little smoke when burned or subjected to high heat. While no laws in North America currently require LSZH cables, there are some government incentives to use them. For example, businesses that install LSZH cabling can qualify for Leadership in Energy and Environmental design incentives. Businesses can get LEED Pilot Credit 54 for up to 2 LEED points per installation. Like with most green initiatives, Europe is already leading the way in mandating the use of LSZH cabling and you can expect that social and regulatory demands will continue to increase both in the U.S. and around the world. 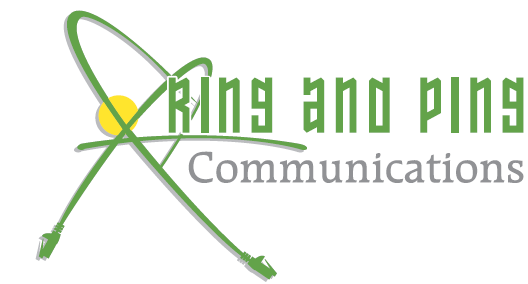 To learn more about Low Smoke Zero Halogen Cabling and other ways you can make your network infrastructure more environmentally friendly, contact us at Ring and Ping Communications today. We’d be happy to provide you with a 100% free, no obligation consultation. Just give us a call at (877) 841-9240 and we will send out one of our expert technicians right away.